As Lunar New Year approaches, the team at Human Resources decided to find out what the Year of the Fire Rooster (from 28 January 2017 to 15 February 2018) holds for your career and finance – according to your Chinese Zodiac Sign. Calculated according to the Chinese lunar calendar, the Chinese zodiac sign is based on a 12-year cycle with each year related to an animal sign. For example, 2016 is the Year of Monkey and 2017 is the Year of the Rooster. 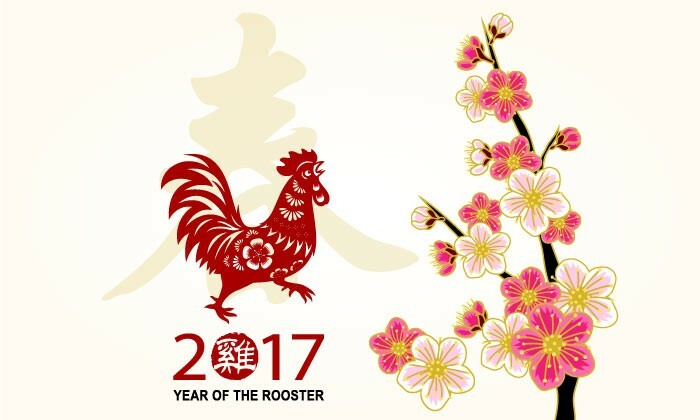 However, as there is a time gap between the year dates of the lunar calendar and Gregorian calendar, people born in January or February of Gregorian calendar may actually have the animal sign of the last year – for example, people born on 20 January 2017 will be represented by the Monkey instead of the Rooster. If you don’t already know which animal your birth date represents, click here to find out. It is predicted that professionals born in the Year of the Rat will get along well with colleagues and have good development this year. However, the ladies might have better luck than the men this year. 2017 can be a good year for women born in the Year of the Rat to develop their career. 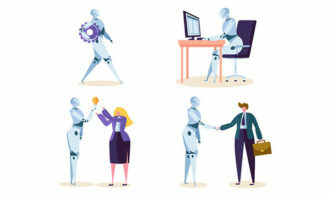 It is said that their accurate insight and efficient execution capability are big pluses, and all problems at work can be solved with the help of colleagues and friends. On the other hand, men born in the Year of the Rat may not be as lucky, as their attention may be distracted by external factors such as rumors and unpleasant family issues. To avoid decline in career, they should look to establishing good relationships with their peers as the extra help may be beneficial in helping them get through the hard times at work. When it comes to money, those born in the Year of the Rat can expect their stable income to be enough to cover their major expenditures. However, making high-risk investments such as stock and speculation may not be the best idea. To live a well-off life, it is advisable for these individuals to manage their money cautiously. Professionals born in the Year of the Ox can expect steady growth and outstanding accomplishment this year. 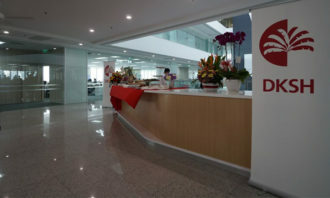 It is said that their positive attitude and efficient work will set a good example for their colleagues. These professionals are predicted to have smooth career development due to the appreciation of their superiors. Their outstanding performance is likely to be the envy of others and there might be rumors spreading in the company. However, if they do not let the gossip affect their mood and continue to keep up the good work, these rumors will collapse itself. Despite the good career development, these professionals might not see much increase in terms of their salary. It is said that investments are likely to bring these individuals great fortune as people born in the Year of the Ox are said to have stable personalities which won’t allow them to make risky moves. Great breakthroughs and opportunities for a higher position are in the stars for professionals born in the Year of the Tiger. These professionals can expect to make a great achievement on their work this year, and due to their brilliant work performance, they may come across some opportunities for promotion. It is said that they are likely to receive a lot of help from people in senior positions, however, if they want to make bigger progress, they should work hard and keep themselves away from some base people. It is believed that some challenging work may give them a chance to show their agility and outstanding judgment. Throughout the year, people with the Chinese zodiac sign of Tiger can expect a stable fortune in wealth. While the opportunity may arise for them to make a handsome wealth, these individuals must remember to not let greed overcome them and weigh the pros and cons before investing. According to the Chinese zodiac fortune prediction, professionals born in the Year of the Rabbit can expect some changes in their career. There is a possibility that their companies will be merged or acquired, hence they are likely to be transferred to another city or position. At work, they may be bothered with unpleasant things which may reduce their self-confidence. On the bright side, those who are always on the go 2017 may still be a nice year for career development, however, they should pay more attention to safety when going on business trips. While a new job is not a bad idea, it is advisable for these professionals to think twice before making the final decision. 2017 brings many changes for those with Chinese zodiac sign of Rabbit in terms of wealth. These individuals are advised to be patient when it comes to financial problems and making investments. Money should be allocated reasonably this year, with some set aside in the event of emergencies. Those born in the Dragon year can expect to find several nice opportunities and develop in their career in 2017. Throughout the year, these professionals are expected to have impressive performance due to their outstanding working ability. It is said that the key to develop and expand their career steadily is to draw up detailed plans and sum up experience. Born with the spirit of adventure, people with Chinese zodiac sign of the Dragon are always motivated to try new things and won’t miss any golden chances in 2017. During work, these professionals are advised to keep a modest attitude, create a harmonious relationships with colleagues, and accept and welcome complaints. Several promotions are in line for these professionals as their bosses and group leaders are likely to appreciate their efforts. Most people born in the Year of the Dragon will have abundant salary as long as work tasks are finished with efficiency. Individuals are also very likely to earn extra money from investments because of their cautious and meticulous characteristics. In 2017, those with the Chinese zodiac sign of the Snake will easily feel upset when facing troubles at work. It is predicted that these professionals will see an average career fortune without many good opportunities. However, their welcomed characteristics will bring some lucky stars, contributing to career development. They are advised to make full use of their harmonious interpersonal relationships and make decisions with full consideration. This year, it is said that these professionals need to learn how to accept other people’s suggestions to avoid having problems become more complicated than before. Their anxious mood and pressed work assignments will make them exhausted, hence it is necessary for them to do more physical exercises and get more rest. According to 2017 Chinese zodiac fortune prediction, those born in the Year of the Snake they should pay attention to how to accumulate wealth efficiently in daily life. These individuals are advised to make a detailed plan for recording daily expenses and save money for emergencies. Great progress is expected for those born in the Year of the Horse in 2017. These professionals may be mentored by those in higher positions. However, they have to ensure that they take their work seriously and work hard to improve work efficiency and quality to get a promotion. By doing a remarkable job, they may incur the envy of others, hence they are advised to be cautious of those with bad character and to keep a low profile and maintain good relationships with people around them to avoid unpleasantness. Individuals born in the year of the horse will have good fortune and plenty of opportunities to earn and save lots of money in 2017. While saving money should be on their agendas, they are likely to spend a bit of money to buy peace at times. Professionals born in the Year of the Sheep/Goat/Ram are likely to have their career development affected by many unpredictable disadvantages. It will be hard for these professionals to get promoted or make progress in 2017 and they are unlikely to gain anything from investment. Thus, they are advised to make a good control of investment and to not invest much money in different fields. To a certain extent, it may be best for these professionals to accept the reality or it may just make things worse. Unfortunately, individuals born in the Year of the Goat are unlikely to achieve a lot of wealth. In this case, it is even more crucial for them to prioritise in saving money. According to the Chinese zodiac analysis, professionals born in the Monkey year will see progress in their career this year due to the improved relationship they have with the people around them. Pleasant relationships are beneficial to them this year, as once they come across setbacks in their business and tasks, their peers will be around to help them. With a modest and warm-hearted manner, these professionals are likely to win popularity among their colleagues, resulting in a The harmonious working environment which enables them to get a possible promotion or pay rise. These professionals are advised to stay calm and persistent to open up a large space for their career. When it comes to money, those with the Chinese zodiac sign of the Monkey will have an average year. Seeing as their wealth is firmly attached with their career situation, if there is progress in their work or business, a favourable income can be maintained and vice versa. ALSO READ: Are these your team’s resolutions for 2017? Despite the belief that the year of one’s birth sign is the most unlucky, this doesn’t cause much damage in terms of their career fortune. Professionals born under this sign can always expect favourable turns when they face trouble at work. 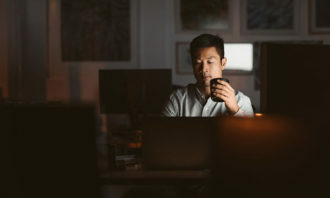 Entrepreneurs may face a depression in their career due to capital shortage, however, they might receive some help during hard times as these professionals are able to maintain a nice relationship with their partners. As long as professionals born in the Year of the Rooster keep a serious and positive attitude, they are likely to make big breakthroughs with their tasks and get through this relatively tough year. Unfortunately, when it comes to money, it is predicted that those born in the Rooster year will face a fortune in money far below their expectations. Though they can reduce their losses to a certain extent with the support of others, they are likely to see an unfavourable annual income. On the bright side, these individuals need not worry too much about income as long as money is expensed wisely. Professionals born in the Year of the Dog are likely to have favourable fortune in their careers this year. It is predicted that the men are likely to get a promotion as long as a harmonious relationship is maintained with others. However, these professionals should avoid competing with others. On the other hand, women born in the Year of the Dog are advised to work harder in order for their career to be smooth. Individuals with this Chinese zodiac sign are likely to have pleasant luck in wealth in part due to the possible promotion. These individuals are said to be very cautious in investment and good at accumulating wealth. Nevertheless, it is advisable that they should act according to their capabilities, and never be greedy. According to the Chinese zodiac prediction, those born in the Year of the Pig can expect to have a pleasant career in 2017. Professionals who often travel on business are likely to come across many good opportunities. However, they may find it hard to deal with their colleagues and in consequence, will have to solve problems on their own with little help from others. Seeing as a harmonious relationship is beneficial to their career, these professionals are advised to be tolerant and kind. Sadly, it is predicted that individuals born in the Pig year will not have good fortune when it comes to money. They are unlikely to make a big profit from their jobs or investment and might have to tighten their belts at times to make ends meet. The good news is that bankruptcy is unlikely to occur. In light of this situation, it is advisable for these individuals to be cautious when investing and put their money into the savings account. He was charged with fraudulently issuing 17 course certificates and safety passes without actually conducting any lessons or asses.. Junior and mid-level corporate bankers in the US earn US$80,000 a year - almost double the amount earned by counterparts in Singap..